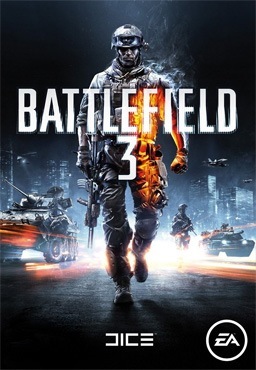 For those who have not yet played Battlefield 3, it provides an amazing online experience. The game is great; unfortunately the way some things were implemented have not been so great . . . I am a huge first person shooter fan for both console and PC (surprisingly my aim is fairly consistent across platforms), so it was a no-brainer to download the Battlefield 3 beta as soon as it came out to see what all the hype was about. Needless to say, I logged a fair number of hours achieving a relatively high rank and unlocking a bunch of awesome weapons, attachments and skills. Unfortunately, it was all for naught as EA has decided to reset all ranks from the Beta. This is very inconvenient and not well thought-out. On the one hand I understand because they want to have a level playing field for those that were not in the Beta. On the other, should we not be rewarded for being gung-ho enough to partake in the Beta? More importantly though it is extremely demotivating to take everything away that you have earned. It can be likened to your boss suddenly taking away all the raises you have earned over the years to “make it fair” to the incoming employees. Okay, so that’s a bit of an extreme example, but you get my point. I played the Killzone Beta and was very happy to see that my rank remained intact after the Beta was over. That is the way it should be. At the very least, EA should have given us fair warning that it would all be reset. After all, with managed expectations we would be likely to be less upset. Who here played the Beta and was upset to lose their rank?